If you are looking for information on the Exciting Windows franchise business opportunity, Exciting Windows franchises or Exciting Windows franchising, then you have come to the right place. With management income at highest potential! Exciting Windows! Area Franchise is for experienced managers who want to develop a territory with multiple franchises for management income. First learn the business yourself with our Fast Track start-up system. Within a short time you will attract and recruit other franchises to follow your example, and mentor them to achieve their own full potential. You'll receive increasing income as their business grows. Puts YOU in the franchise business, retaining approximately 75% of fees! A territory of 250,000 or 500,000 population will support your own unit franchise plus 3 to 10 additional franchises. Only Exciting Windows! provides a proven structure for growing your business through franchising development to build a managed source of income for yourself and your family. 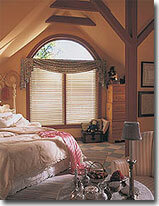 This system is brought to you by the most experienced leaders in the window coverings industry! Over 100 of America's best and most experienced window coverings dealers and professionals have invested in the Exciting Windows! system. Your future is based on the value of the Exciting Windows! franchise - with an investment of half or less of other franchises - with benefits that are unequalled by any franchise system. Below are just some of the benefits you get in your own Exciting Windows! business, and that you will offer to others as you begin building your territory. 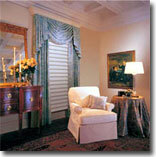 Window Coverings University - classroom instruction by industry experts AND WCUonline - distance learning worldwide. Unlimited no-cost attendance to over a dozen courses normally costing $79 to $3,450. (Only a $25 or $50 administration fee applies) HGTV's Michael Payne helps bring you customers! 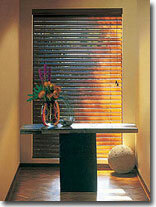 Famous for his show, "Designing for the Sexes", Michael Payne chose Exciting Windows! service for his own home. Now he promotes Exciting Windows! nationwide, and helps bring YOU bigger sales! Advanced online database systems including web pages, e-mail newsletters, reference library online forums, management statistics to improve profitability, and window design software for learning and presentations. Everything you need to build your business quickly. Your advertising is professionally written and graphically designed to appeal to upscale customers you want to sell! Unmatched in the window fashions industry, our 4-Way Guarantees ensure that you have THE selling advantage... the best products, pricing, service and performance available.